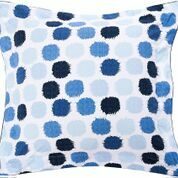 A fresh and lively design of a mixture of blue splatter paint prints on a white background. 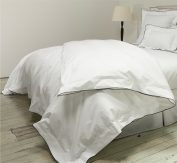 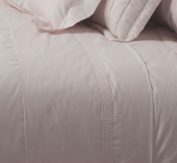 100% Cotton Percale with navy piped details on oxford pillowcases and quilt covers. 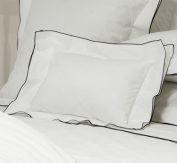 Co-ordinates with Signature White or Santorini.